TCS Tata Consultancy Services | Walk in: 9, 10, 11 December, 2011 | At Bangalore & Mumbai. 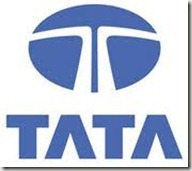 BE/ BTECH/ ME/ MTECH/ MCA required in Tata Consultancy Services. Educational Background: BE/ BTech/ ME/ MTech/ MCA from a recognized University with sound academic performance from 10th onwards. TCS Tata Consultancy Services | Aug 2011 | Job Opportunities for Experienced Candidates | Walk-in: Upto 21 Aug, 2011. TCS Tata Consultancy Services | Walk-in 2nd and 3rd July, 2011 | June 2011 | Venue: Mumbai. Posted in Freshers, Job After Btech, Jobs after ME/ MTECH, MBA, MCA, Walkins, With experience, Without Experience. Tags: 10, 11 December, 2011 | At Bangalore & Mumbai., Tata Consultancy Services | Walk in: 9, TCS on December 6, 2011 by kavita joshi. what is the venu in banglore and mumbai? is it fir 2010 batch? is it for 2010 ? which year pass out you are hiring?